A plumbing system appears straightforward until an expensive repair suddenly crops up. Yet, many issues can be avoided with regular maintenance, most of which can be done by any home or business owner. When you need help with plumbing, Ocala, FL, residents know they can count on Sunshine Plumbing & Gas 24-hours a day! Plumbing is essentially an interconnected system of drains and pipes. The number and location of the drains and pipes is dictated by the types of rooms in a home or business. But the plumbing is usually connected to the appliances and fixtures in these rooms. While toilets are low maintenance, they need maintenance to avoid issues. Regularly clean the toilet with a mild cleanser and inspect it for signs of leaks. Remove the tank lid and flush to make sure all parts are working. If the bowl doesn’t fill to an appropriate level after flushing, adjust the float level and flush again. If the water level is still too low, there may be a leak that should be repaired. Take a few minutes and examine the bathtub or shower for loose or missing caulking around the edging, such as along the floor. Repeat the process for any grout and sealant around tiles. Grout should be free of mold and/or mildew. Also, look for damp, rotting, or wet surfaces in and around the bathtub or shower. Soft spots are usually a sign of a leak and require immediate repair. Most of the time, cleaning a faucet with a damp rag and mild soap is all the maintenance it needs. But every faucet eventually shows signs of use. These usually start with a minor water leak that occurs when the internal gasket or washer wears out. This is true of any faucet in a home or business, regardless of where it's located. Other than a washing machine, a dishwasher is often cited as an appliance many people must have. While most dishwashers last around a decade with repairs when necessary, regular maintenance goes a long way in extending that decade. Check the door seal and replace it if there isn’t a water-tight seal when the door is closed. Water pooling around a dishwasher is often because of faulty gaskets. Replacements can be bought at home improvement stores and are relatively easy to replace. Garbage disposals are convenient but they’re more finicky than most people realize. Unfortunately, most people don’t use or maintain the garbage disposal correctly. Only grind food-waste with a steady stream of cold water and run the disposal on a regular basis. And, keeping a garbage disposal clean does more than keep odors and smells at bay — it also prevents blockages and clogs that can cause breakdowns and the need for repairs. The focus usually remains on indoor plumbing in a home or business but outdoor plumbing is equally as important. Faucets and spigots are generally attached to an exterior wall and are useful for watering plants and landscaping. Like their indoor counterparts, outdoor plumbing sources require a periodic inspection for water leaks. Make sure downspouts, gutters, and other yard drains are free of dirt, leaves, and other clog-inducing items, including animal debris. With regular maintenance, a water heater can last at least a decade. Once a year, drain the water heater tank and wash out built-up sediment. Turn off the electricity and fuel source and let the water and tank cool. Attach a garden hose to the tank and drain the water into a bucket. Check the water for sediment; if there is sediment in the water, refill the tank and drain again, repeating until the water runs clear. The best way to help keep your residential and commerical plumbing clean is to limit the amount of food, grease, hair, and other detritus from going down the drain. Drain covers and mesh screens come in various shapes and size and can be bought at hardware and home improvement stores. Buy a quality plunger, including a flange plunger, and learn how to properly use them. Remember not to treat as they were garbage cans. Use commercial drain cleaners sparingly, if at all. These cleaners can cause corrosion in metal pipes. Teach kids what items, such as toys, not to put into drains and what items and materials can be flushed or rinsed down the drain. Remove faucet aerators every other month and clean dirt and debris from the mesh screen. There are many things you can do to periodically maintain a residential or commercial plumbing system. But there are several areas and items that should always be left to Sunshine Plumbing & Gas, mostly because of safety risks. Working with gas lines isn't the time for a DIY approach. Natural gas requires the use of approved and rated fittings, pipes, and thread compounds. Once the components are installed, all connections must be tightened and tested for leaks. When it comes to maintaining a residential or commercial plumbing system, gas and propane services should always be left to the professionals. Water heaters pose multiple safety risks because these appliances use potentially volatile energy sources such as electricity, gas, or oil — depending on the unit — and produce extremely hot water. Any miscalculation can result in electrocution or a fire, so why take the risk? Sunshine Plumbing & Gas offers a full range of water heater services, including installations. The plumbing system in a home or business is generally stout, but one mistake can weaken everything in a short amount of time. Repairing and/or replacing a broken pipe is one example. 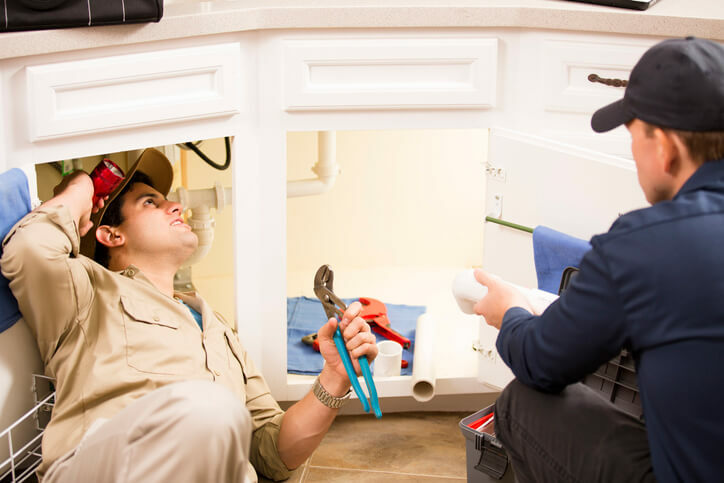 Professional Ocala plumbers with Sunshine Plumbing & Gas receive extensive training and have the proper equipment and tools to complete a repair the first time. At Sunshine Plumbing & Gas, we believe in completing every plumbing installation or repair the right way from the start. Our customers can rest assured they’re working with a plumber who is well-trained in all areas of plumbing. For more plumbing maintenance tips or to schedule a repair, call Sunshine Plumbing & Gas today!